An investigation of Mozart&apos;s Quintet for piano and winds K.452, completed March 30, 1784 and premiered two days later at the Imperial and Royal National Court Theater in Vienna. This lecture by Professor Christopher Hogwood will be followed by a live performance of the piece by Notus Winds. 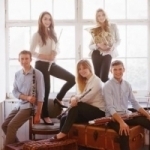 Notus Winds comprises five London-based musicians each holding full scholarships to the Royal Academy of Music. Finalists of the Royal Overseas League Chamber Music Competition 2013, they were the winners of the Elias Fawcett Award for Outstanding Chamber Music as a result of their performance throughout the competition. They also won the Nicholas Blake Ensemble prize at the Royal Academy, and were successful in competing to go to São Paulo, Brazil, for the Festival de Inverno in July. Most recently, they were the winners of the Royal Academy&apos;s most prestigious competition, the Patrons Award, and now look forward to performing at the Wigmore Hall in June 2014. Whilst the group was formed in 2011, members have been playing with each other in various ensembles for several years. Before joining the Royal Academy, four members of Notus attended specialist music establishments, including Chethams School of Music, The Purcell School and the Junior Departments of the Royal Academy and the Royal College of Music. Three were appointed section principals in the National Youth Orchestra of Great Britain, whilst a fourth led the bassoons in the National Youth Orchestra of Wales. Members of the quintet have trained on the prestigious LSO Academies and with the Britten-Pears Orchestra, and have worked professionally with orchestras and ensembles including the Gabrieli Consort, the BBC National Orchestra of Wales, the City of Birmingham Symphony Orchestra, London Winds and the London Sinfonietta. Members of the group are developing successful individual careers, with solo performances at venues including the Barbican, the Wigmore Hall, the Cadogan Hall, and the Royal Albert Hall, and have appeared as concerto soloists with, amongst others, the National Symphony Orchestra, the City of London Sinfonia, the Cardiff Sinfonietta and the London Mozart Players, as well as the bassoonist and oboist performing alongside Maxim Vengerov in Haydn’s Sinfonia Concertante at the Royal Academy. Whilst the quintet has mastered a wide range of repertoire, from earlier to 20th century music, a particular love is the works of French composers, including Ibert, Poulenc and Francaix. Over the last few months, the group has developed a passion for newer music, and is now very keen to promote the less well-known wind repertoire. They recently recorded and premiered their first commission, "Crystal Eyes", by Bristol-based composer, Jonathan Palmer. Notus has been coached extensively by Keith Bragg, a founder member of the highly regarded Elysian Wind Quintet, alongside others including John Orford, Angela Malsbury, Michael Thompson, and the distinguished conductor and composer, Elgar Howarth. Good afternoon, and happy to see you on a slightly grim day, happy to see you in such numbers in this church again, and, from my own point of view, happy to be back here and talking to you. Thank you very much – and next time, I have to warn you as well, will also be me! I thought, for the last two lectures of the series, in any case, I wanted to pose two rather far-out ideas: one is that of music which is just such fun, the composer enjoyed it so much, it did not really matter what its cause or reasoning or cost was, and I will have to modify that in a moment about today; and the final episode I was going to present was of music just so grand it did not really matter what it was, and it was connected with nothing financial or professional, just beautiful and abstract music. A little bit of investigation into both these themes, I am afraid, puts a rather more mercenary look on both these ideas, but I still think we are on very beautiful, formal, but free, territory today, of Mozart, and, in some weeks’ time, will be Schubert. The Mozart opportunity though does give me a chance, before we start dealing with one work in particular, which is really rather an odd work, you will have decided by the time we are finished. My starting point though is just to remind everybody that, although Mozart died young, worked so hard, was frantically composing all the time, and gets himself up a collection of K numbers in excess of 600, what they do not always remind you of, and even when you look in the big printed catalogues of Mozart’s works, they do not always make the big point that well more than 100 pieces were deliberately discontinued by Mozart. It is rather stunning to remember that Mozart was such a person who could work so much in his head – all his travelling time, his essential sitting in a coach when he could not do any writing, when he was working mentally on so many works, and yet, you see in the records of what he actually wrote down, the moment something happened to a contract, he was busy writing a concerto for some lady violinist. He suddenly heard that she was going on holiday – contract given up, concerto not required. Mozart stopped exactly where he was – page three, page 23, wherever he had got to at that particular point, it just finished. If a better job took over or offered him a more instant opportunity of composing something required next week, he felt no problem whatsoever in stopping writing down a piece of music that he was in the middle of. It has always struck me as rather strange because we know that Mozart was a great writer in his head. Most of his composition could be done mentally, and so, when he actually was writing down a page or two pages or six pages of a concerto or a symphony or an aria or a church piece or a piano piece, any number of formats there are in this wonderful assortment of unfinished works, running up to about 120 in all, that had just been shoved aside because another more likely and more profitable suddenly came up and he got rid of the work he was halfway through doing and went off on another and never went back. The extraordinary thing is, also, his ability of mind to put away a piece half-finished and never borrow any of the stuff from it. So, this is not only we lost a symphony or a mass or an aria or a concerto or a piano sonata that he stopped halfway through the first movement. We never had most of that material re-used anywhere else, so it is purely lost. Someday, there has to be, I think, a gigantic festival of unfinished Mozart. We just need a week, I think, of piece after piece after piece. Some of them are four bars long, some of them are fifteen pages long, really quite substantial music, apparently well-finished, not sketched as a trial, but what would have been the finished version, except, at that point, the telephone rang and he was asked to do something else so he put it away and never went back to it. There is a whole lifetime of experience hidden in these unfinished and present day unheard works, which I think could be brought out. I start with that topic today, simply because of the strangeness of the music that we are going to hear, which is, I am glad to say, finished completely with it, famous – in fact, should, I think, be more famous probably than it is, because Mozart’s writing of what looks to be a completely personal piece, with four of his favourite wind players and himself on the piano, he wrote it in great care. He re-wrote it – it is very rare, with Mozart, you have a piece with corrected versions and new fair copies. He put in an enormous amount of work into the construction of this piece and he actually wrote a letter in his family saying it was the best music he had ever written, and it was very rare of Mozart to make that sort of decision. He was very rarely complimentary about his own pieces anyway. He assumed they were good. He very rarely picked out one above another. But in the case of the work for winds and piano, he specifically writes in his family this is the best piece he has so far written. The curiosity it now turns out is that, although I would like to say this was Mozart with his own series of concerts, writing a piece off the top of his head because he loved sitting down at the keyboard with his friends, four elegant musicians, and playing a wonderful piece that was suitable for them only, it has always looked like that, until recent research has actually made a little discovery, which is that a local aristocrat in Venice had the idea of starting up a professional wind group. Mozart, therefore, had the idea of getting his support, offering him a piece that he would write specially for his players, that would present the best of the wind players, himself as the show-off piano soloist of course, and that these would be presented by this aristocrat. Everything was nicely underway. It was billed. It was rehearsed. It was planned for a concert. After the players had seen it for the first time, the concert came two days later, in Mozart’s own series - he was running, for once, his own organisation of concert programmes in Vienna to try and make money and to guarantee the largest possible audiences. In the outcome, alas, like so many of Mozart’s wonderful ideas, he wrote this beautiful piece, he polished it, he made a fair copy of it, he got the best players in Vienna to join him, billed for his concert, he invited the aristocrat he had his eye on, a younger aristocrat, only to discover, at the last minute, the other aristocrat was not coming, was organising another concert on the very same evening, and was inviting all the important people to his concert and therefore they could not come to Mozart’s concert. It is one of the saddest things for a specially declared intention, I think, of promoting the piano and wind instruments, which was a real rarity at the time. Too late for Mozart to cancel it, and therefore we are in a good position to be able to hear it today, and we have our group already sitting by, ready to play for us. Because it is so original and because the scoring is unique, nobody in Mozart’s audience or any other audience would have been familiar with the idea of a wind group. The four players here are an existing wind ensemble, to which Mozart added himself on the piano, to make this perfectly fabulous work that even he himself wrote to his own family was the best thing he had ever written. Curiously, although he played it at his own concert, we know not enough people went. The piece was not played in any of his other public concerts. The piece was not published in any shape or form while Mozart was alive, and when Mozart was dead, it was published, but they thought far too complicated to accommodate four wind instruments – we will have stringed players instead, and so an adapted version, for strings and piano, came out when Mozart was dead. This, Mozart’s unique, original, and he himself said, best piece of music, only appeared in print in the nineteenth century. So, such is the bad luck, with Mozart thinking he was going to get a great comeuppance in Vienna, with a major aristocrat promoting his music, all would be happy sailing for the rest of his life, instead of that, his music was ignored, they all went to somebody else’s concert, nobody else played his music, and nobody dreamed of publishing it. Once you have heard a little of it, I think you will realise that he had put a lot of effort into this being a piece that really made his career. Alas, this was the outcome. I think it is amazing, and one of the reasons why it is very important to hear this piece before one talks about it, to put it into one’s head that this is the first time this combination was used. Most people who listen to this piece think, ah, a great piece for winds and piano, joining the hundreds you might associate with the eighteenth and nineteenth century. Not true at all. It is the first, possibly the last time you are playing something with this wind group. I think that it does not always strike people that this is Mozart’s first and last attempt at using this combination. We have to admit – and we will do a little talking about it in a moment – that the instruments that Mozart had in mind were not exactly the instruments we have heard round here. You know perfectly well that this is a modern piano, not a Mozart piano. It is a small Mozart piano. You know straightaway, from looking at it and from listening to it, that it is not the sort of piano that Mozart knew. His piano did not have metal inside – it was a lighter piano, it had different pedals, some with your knees, more than with your feet and so on, altogether a different sound. We must not hold that against the piano because I think the oboe was very different that Mozart knew, and we will come to the horn in a moment. The bassoon, well, it played in the same sort of position, with many fewer keys, much, much less. The clarinet had not been around for that long, so I suppose, if one is going to blush, one has to blush slightly less, as the modern player of the clarinet, in that you have not gone so many hundred miles away from the instrument that Mozart would have expected. Most important, I think, is that the instrument that Mozart was expecting from his leading horn player was a natural horn, not a modern horn like this, the difference being a great deal of mechanism of course. There was much less work for the hand to do inside, a much lighter sound. Is it actually easier to play this piece on the modern instrument or would it fit as easily on your eighteenth century horn? Carys Evans: Well, stylistically, it is much harder on this because it was so much lighter on the natural horn, but technically, it is very difficult, because everything is done with your hand – like you change the pitch with your hand purely, alone. Yes. Could you just show us a little bit on this, but not using the modern “isms” that you have? Carys Evans: Just how it works…? A different quality on almost every note down there. And when you play a melody, in the same way. Can you play a moment there? No. In any key you find convenient! Great. That is the best demonstration I could think of for showing you what was absolutely not assumed in the eighteenth century of the hand-horn. They did not have a hand-horn that played every note identical. As soon as you moved up and down a scale, exactly as you heard in the first version, it changed, it was a different view – it is like looking at a house and, every time you move, the light gives you a different colour or something. There is equality right through the whole thing, but changing its quality like mad, which was all that Mozart knew. It is not as though we have to say Mozart was choosing an old-style but he would rather have had the modern style. He never had this equalised modern style of writing for the horn, and he used, deliberately, these different notes for the effect they created. Carys Evans: He used the stop-notes as a feature. So, in his concertos especially, he made sure that he chose notes with the sound he wanted, rather than just the pitch. Very obvious to the ear. Very nice, very musical, but not how we are used to hearing it nowadays, with uniformity. So, the whole idea of the horn is that it was not presenting a uniform line, any more than a singer. When you sing with different words in an aria, every note you are singing comes out with a different colour and a different consonant. We are used to that because that is the way you sing. Nobody has ever heard a singer presenting an aria with ooh-ooh-ooh-ooh-ooh all the way through. The words do things to every note. That was the situation that the horn lived with every day. The other instruments, to a certain extent, shared in this same – you cannot do the demo of course on a modern instrument because they have been fully covered with highly-complicated key mechanism which give you combinations of stopping and opening holes which cannot be done by the open hands. If you had to do them with the open hands, you would find I think, even on the bassoon, and even on the clarinet, on an early clarinet, the stop-notes do sound different from the open notes. There were differences. The progress of wind instruments has been, right through the nineteenth and twentieth centuries, to iron out the differences so that you will have one sound which represents the clarinet, top to bottom, you will have one sound which represents the horn, top to bottom. One just has to remind oneself that, when eighteenth century composers were writing for these instruments, they in no way were longing for this because they’ had never heard it. They did not even imagine it, and they were very happy with the differences from each viewpoint that we were getting and hearing so nicely. From the piano, of course, it is a very different thing. You can do very differently on the piano what you have to do. Do you miss anything from old pianos? Have you ever played this music on an old piano? Kei Ma: Well, I have tried the piano in our Academy. They have a museum with all the really historical pianos. I have tried one, but not the one for this piece maybe. And the other one, there is one with five pedals, and a smaller range of the keyboard, and a smaller size, and it sounds totally different, and I do not think I can imitate it on the modern piano. You are completely right – you cannot imitate the sound… Well, we did a sort of semi-imitation but, even so, that is not a real imitation of a hand-horn. If we were going to make a hand-horn sound, you would take a hand-horn. Carys Evans: Yeah, I mean, I tend to, when I do the Mozart concertos, I tend to play them on the natural horn, just because, stylistically, it is so much simpler. Carys Evans: But they are completely different. I do not think there is a comparison. I think it is an important element of planning teaching nowadays that, as you say, getting the opportunity to learn that it is so much easier or different on an historical instrument. I like it that most of the academies and standard tertiary education, music education places, do give people automatically – I say “automatically”…does everybody have to do it nowadays for one term? Carys Evans: No, not at all. You can if you want. Carys Evans: Yeah, technically, I think most people would find it difficult playing it hand-stopped, just because this is what we have grown up playing, and it is an entirely different technique, but it highly influences what we do on the modern instrument. Great. I think that is a changing attitude – that is the twenty-first century’s view of historical music education, that it is open to you and you can use it as you want. There is not a law any longer that you have to be one thing and that it is positively wicked to play a historical instrument because it shows poverty. Now, there is a uniformity creeping in, and I think most audiences are learning to recognise these sounds also, and most record companies are learning to find the sounds available on recordings, both in the modern and the ancient. How about a slow movement? Anything you should tell us about the slow movement…? Surprise us! It was a surprise. I think, now that we have just set the originality of this piece, this sort of scoring, certainly the drama in the middle section of the slow movement, is not something that anybody could ever have heard before played by an ensemble either of their piano and their wind instruments, or even on a modern piano and modern wind instruments. This was positively the first construction that could have used these effects. It is very hard to believe that that was the first movement, and almost the last movement, ever written for this combination. It seems to me, if one knows the piece anyway from recordings now, you seem to think it has always existed. It is very hard to put yourself I think back into the view of the original audience. It is interesting as well to realise what they were listening to on the same day. Just in case you wanted to know what they got the evening… Mozart was running three concerts, three plans, in Vienna, all three long programmes, and he wanted to entertain people. The quintet came as part of a concert on April the 1st – this was 1784, if you want the exact year. It has to be called a mammoth concert, although, whenever Mozart laid on a concert in Vienna, it was such an effort getting it all together, he tended to put lots and lots of stuff in. We are not always sure what he played either, so I will give you some idea. In this particular one, he was aiming to show people pieces that were entirely new or else were new to Vienna, and the playbill, which is what we have – Mozart did not write down the full programme, unfortunately – the playbill that was stuck up outside the theatre said that it began with a symphony with trumpets and drums. That is not very specific. It is probably Haffner Symphony, K384, but he does not tell us this. It is just a symphony with trumpets and drums, the introductory sound. He also played a piano concerto, K451. He played the Linz Symphony. He, of course, like all his concerts, he played some music extemporary. So, he always announced, if the audience applauded loudly or long enough, he would play an extemporary piece. If they loved the extemporary piece and applauded it, he would then play another extemporary piece. This way, a concert that was already going to last 2.5 hours, minimum, was stretched to cover maybe three hours or more, and sometimes people even admitted somebody had to go up to Mozart and say four improvisations were enough, perhaps he could get back onto the printed programme. Anyway, we played a group of piano improvisations. We nowadays have no idea whatsoever he played in this concert. Another symphony then followed – we are not told the number. Possibly, it was the Paris Symphony. More songs were sung, and, at the end, he played a symphonic movement that they had already had part of earlier. That is a long programme. He repeated this sort of plan for three different things in Vienna, and he was quite pleased, himself, with the whole thing. He says, “For these concerts, I already have 100 subscribers and I expect another 30 shortly. I shall later give academies.” The idea was that he had decided, like many musicians had, that a money-making device in the busy city of Vienna, with people who did not have the time or the inspiration to be good students, could nevertheless be very helpful members of an audience who would turn up on a regular basis, bringing most of their court with them, hence the enormous disappointment it must have been, I think, because, although it was known that we were supposed, at this very concert, to be seeing Prince Alois Liechtenstein, he had promised to come, apparently, but he also had expressed his own interest in harmony music, music for wind band. Maybe the problem was that Mozart had put together a piece that was not for wind band, but unfortunately had the piano in the background. He might have come if it had been a fully wind event. But, with only four wind players, is it worth going out to a concert when you could run a concert at home with eight wind players and be having a full wind band, which in fact was exactly what the Prince did, several years later, and after Mozart was dead. He gave regular concerts, which were very popular, for six or eight wind players, noticeably no piano hogging the issue in the background. So, this was an original, and I am afraid Mozart probably would have said, an unsuccessful attempt at how to make a speaking group of your winds and piano – everybody went to another concert. Very sad. Does it make any difference to the lower instruments? Jonathan Davis: Playing a modern instrument? Yes. Do you find nowadays – we know we are going to hear the horn, we know we are going to hear the oboe, because you are on top, we know we will hear the piano because you are always the solo part. Are we normally expecting to hear solos coming from something that should be plugging away on the baseline? Jonathan Davies: I mean, it is mixed because the modern bassoon can produce a louder sound, because it is a bigger instrument, but the modern sound is a lot rounder than the bassoon would have been at that time, so maybe the sound of the classical bassoon would have pierced through the texture a lot more, while, sometimes, when I am playing the baseline on the modern bassoon, it is quite a big sound. You really have to mark everything down, a step lower than he would have wanted I think. Jonathan Davies: Yeah, definitely, definitely, because I suppose it is colour of sound, rather than volume, that you have to think about because it is, okay, you have not got big sound, but in this context, it can get quite lost when it is quite round. Do you have to do the same with the horn? Carys Evans: Yeah, I think because it is so resonant compared to some of the other instruments, especially in a place like this, it just goes on forever, the sound, like the echo, it carries a lot more naturally I think. Carys Evans: Yeah, a lot more so on the modern instrument – on the hand-horn, it was much more…it just stopped, because it was a single tube. This is eighteen feet for it to bloom, whereas, on the natural horn, it just went round once and then stopped. And on the clarinet? Do you find you have to consciously solo your solos and hide your accompaniments, or do they fall more within the natural character of what the instrument offers? Jordan Black: I think that the writing does fall in the natural capacity of the instrument. I mean, I seem to spend quite a lot of my time in this piece in the middle register, almost a viola-like role, in this, but occasionally popping up with the odd solo. A lot of the time, it is imitating the oboe, but also, then I can also be with Jon on the bassoon, in the more accompanying role. So, it is interesting. I mean, the clarinets that Mozart would have been writing for would have only had five keys, looked quite simplistic, and would have a more recorder-like sound, a bit pipier sound, so it would have been a smaller sound, a bit quieter than the modern clarinet. And, also, in Mozart’s time, it was a real development time for the clarinet, because we are relatively new to the woodwind family, probably the newest member, and he really did expand the range of the instrument of course, because he, with his close friend, Anton Stadler, who was the clarinettist who he collaborated with a lot, he wrote the Clarinet Concerto, which was for the basset clarinet, with an even lower range, and there has been lots of scholarship on that piece and lots of research done and almost a revival of the concerto being played on basset clarinet, so a huge development. Jordan Black: Yeah, that is it. It certainly was very enterprising that Mozart immediately took up an instrument relatively new. Most clarinettists had not begun life as clarinettists who played for Mozart. They had played another instrument and then become a clarinettist. Suddenly, Mozart had said this is the most wonderful sound I have ever heard in my life – I am going to include the clarinet in everything, and the other players had to put up with it. Whether they liked it or not, they got you! Jordan Black: I think it was definitely a lyrical vocal quality, and also, the contrast that can be achieved in dynamics with the clarinet is a real quality. It can go from a real pianissimo, really hardly any sound at all, to really singing quite operatically, I think. Here, you are much luckier than the horn, who cannot go too soft without disappearing from the scene. Jordan Black: Yes, it is lot of actually what we need to talk about when we are rehearsing in this combination, is balance issues, I think, because both instruments react so differently. The same will very much apply also, I am sure, to the piano, because, in many concerts, you must be given a piano seven foot long. Then, surely, the problem is, whatever you do, you are too loud for most people and so it is the usual grand piano thing. You have noticed we experimented a little bit with the sound of this piano, either fully up or with the lid halfway down, and decided it gave a better sound, for combination with these players, and I think nicer for you to develop, with the lid halfway down. Other things that you wanted to tell us about the piano because on Mozart – do you have extra material on this piece? Kei Ma: The only thing I want to say is about the first movement. Mozart did a small mark, where connect the first introduction and then the second part is allegro moderato, and so, between that, he put a small mark and you can put a mini-cadenza, so I put my own cadenza, on only two bars, to make a connection between those two parts. And, yeah, I think we should take the chance when Mozart gave us the opportunity to do that! I quite agree! I think that is the best attitude of a concert pianist nowadays, to use the advantages that composers gave you in the eighteenth century for the ad libitum stuff. There is often, especially with older players, still, I find nowadays, this slightly tentativeness of “Should we do something? It says a fermata - should we be doing something? No, it is much safer not to.” Or just a trill or something… Now, I like it that, suddenly, in the first movement, you come out with a cadenza. You have a choice at the end because there are two endings to this piece as well…over the last movement, yes. There are two endings, both Mozart, one correct, one less correct. But I mean, there is a chance for all the instruments to add things to their parts if they feel anything is a bit lacking in trills or in devices, feel free, because we know perfectly well Mozart never played what he had written – he played what he had written plus a lot of other stuff as well, so you can feel completely free. We have one interesting example which we will take as it comes, on the run in the last movement now, just so long as you know that, because there are five people involved, you cannot have an ad libitum cadenza, and so, when Mozart gets to the point, in the last movement, where he wants everybody to have what you would think would be free improvisation on their own, they cannot because they have to be free improvisation, five simultaneously, and he writes a really quite large cadenza, that he labels as a cadenza, to be played in more or less regular time, using all the people involved, with material which is a little bit connected with what you have already heard. You will be recognising some of it, but, otherwise, it is just a free romp through a lot of different harmonies, but with multiple improvisation, if you can believe in such a thing. It is possible to do things new and off the top of the head, two people at once, and you will hear groupings of these winds and groupings of these winds within the cadenza moment.